Yoga, as perhaps the best overall system of stress reduction ever invented, can help with chronically tight or painful muscles. But when even simple movement causes severe discomfort, how can we better understand the mechanism for relieving stress or tension in these areas? For those experiencing chronic pain issues or for yoga teachers who would like to work with students overcoming pain or injury, this workshop will introduce you to the basic concepts of yoga therapy and the practice of Somatics. Developed by Thomas Hanna as a movement re-education technique, Somatics goes directly to the root cause of most chronic muscular pain: the brain. By learning to regain awareness, sensation, and motor control of muscles, the brain can remember how to relax and move the muscles properly. We will also explore breathing as a powerful way to quickly relax the nervous system, shifting the balance from the fight-or-flight sympathetic side to the more restorative parasympathetic division. Such practices as simply slowing the breath, equalizing the length of the inhale and exhale, and pausing briefly after the exhalation, all tend to shift the balance of the nervous system to the parasympathetic. is both gentle and mindful for beginners. Currently, there are 0 spaces available. 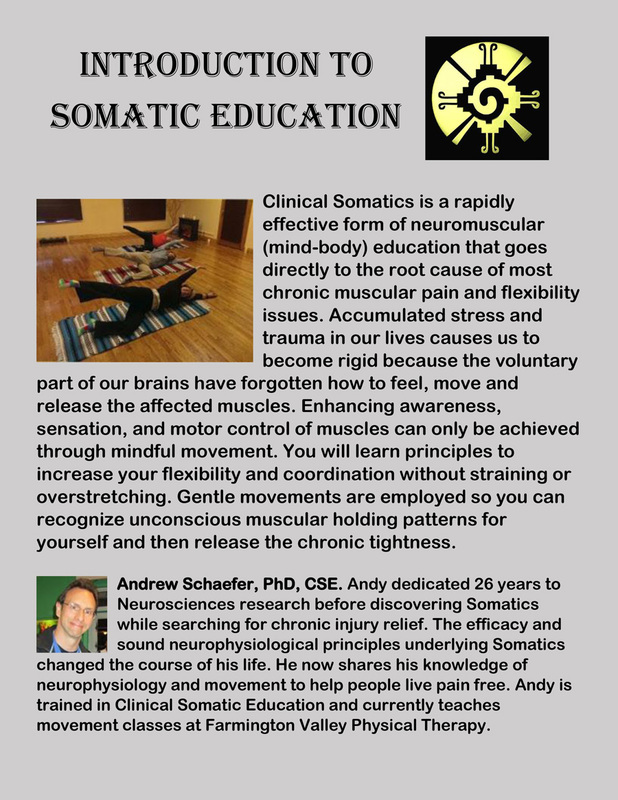 "Somatic Excercises can change how we live our lives, how we believe that oue minds and bodies interrelate, how powerful we think we are in controlling our lives, and how esponsible we should be in taking care of our total being"
One World Wellness & Yoga welcomes Somatics Educator, Andrew Schaefer, Ph.D, CSE., of Farmington Valley Physical Therapy. Please see the workshop flyer below. 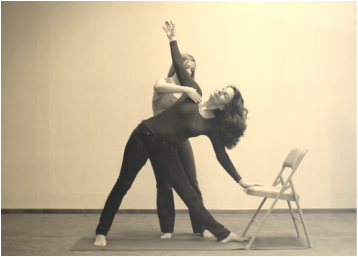 Or for more about FVTP and Hanna Somatics, please visit www.fvpt.com/SomaticMovementClass.html.